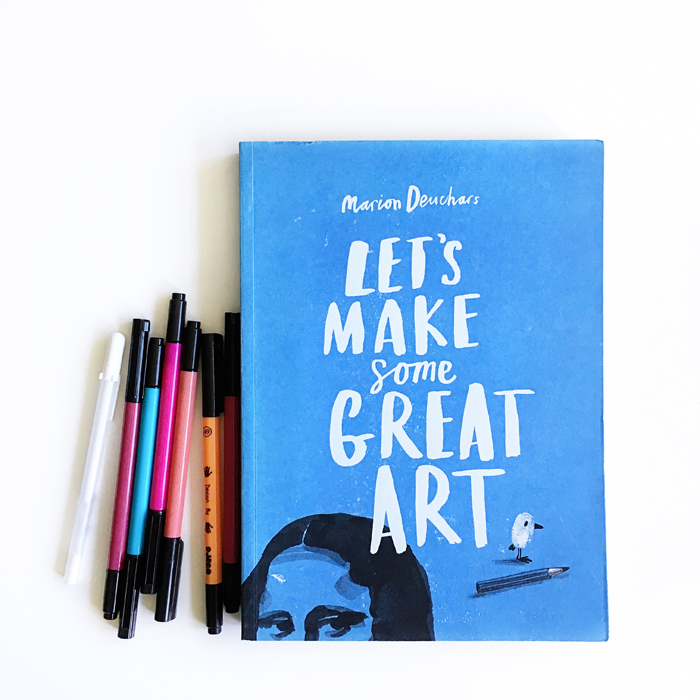 We’re looking at the theme of creativity this month for #littlelitbookseries. Creativity is not just for artists—it’s a backbone of everyday life, and is the foundation of innovation and problem-solving, which are important processes that are necessary and fundamental for a thriving society. Creative moments arise when we ask ourselves the question, “What if…” or give ourselves free time to be curious, wonder and wander (sometimes all at the same time!). We’re sharing some books this month that ponder what creativity is, what it means in our lives, what it looks like and how to foster it in our children. We’ll also be sharing picture books in which writers and illustrators take a highly creative approach in crafting their written or visual narrative. Follow along all month at @littlelitbookseries. Where's Your Creativity? was written by Aaron Rosen and Riley Watts, illustrated by Marika Maijala and published by Tate | Abrams. It’s out now in the UK and publishes on April 10 in the US. Do check out the creative shares that are happening today with the hashtag #littlelitbookseries on Instagram. 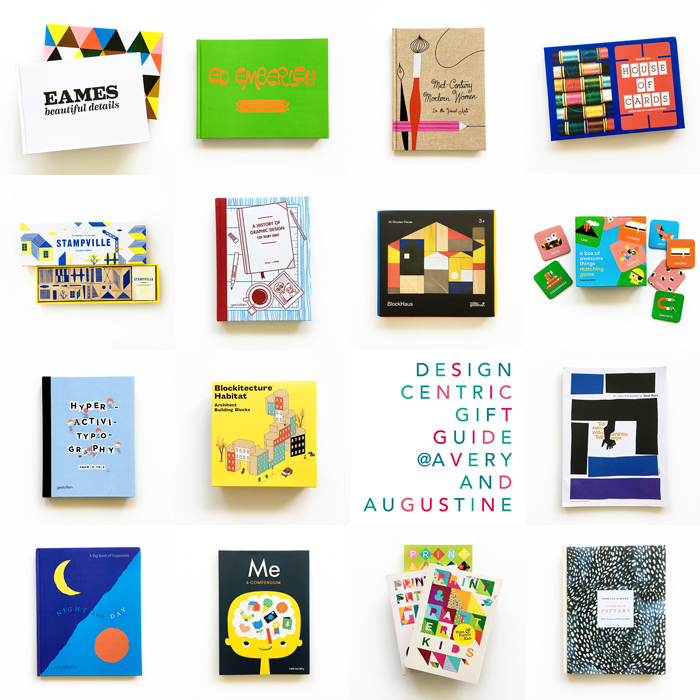 I’m excited to share a design-centric gift guide for you appreciators of art, type, pattern and all things beautiful and thoughtfully designed. Also, because I love the books and playthings I’m sharing, I’m partnering with some publishers and small businesses to give away some of the items in the guide. Head over to this Instagram post for details and to enter. The giveaway ends on Sunday, December 10, at 11:59 PST, and is open to US residents. I’ve culled a list of design-driven books and toys—books that highlight particular artists or groups of artists, and the beauty they sought to instill into their work and share with the world, as well as other books that inspire wonder and an appreciation of design, form, function and aesthetic. The toys I’ve chosen reflect simple, beautiful and thoughtful design, many with sound, sturdy construction that allow them to be passed on to the next generation. Most of the toys in this list are traditional, open-ended toys because I find from experience that those are the ones that lend themselves to creativity in its truest sense. They become tools for children use to convey their thoughts, ideas and express the experiences they’ve had in their world. I grouped everything together in one list and some items will work better for certain age groups, but I believe that good design resonates with all and many of these books and toys can be shared and experienced by the whole family. What’s brilliant about well-designed objects and books is that you don’t have to shelve them or store them out of sight. You can leave them out in your living room and they naturally add beauty to the space. The book left out on your coffee table doesn’t have to be read all in one sitting — it can be looked at a few pages at a time in moments of passing by, or in small morsels with your morning coffee. We love to leave out block sculptures that we’re working on and see them evolve the next day with other family members adding their ideas to the mix. 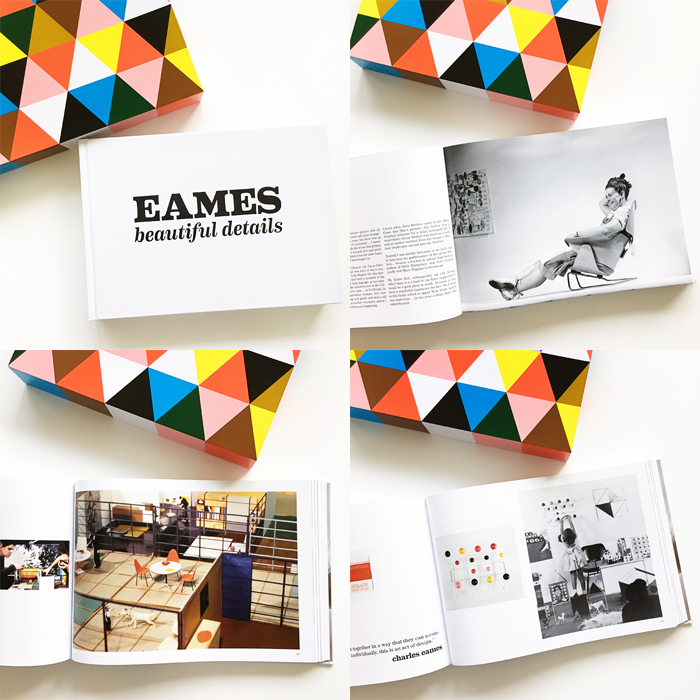 Eames: Beautiful Details — There is perhaps no one more representative of the mid-century modern movement than the husband and wife team of Charles and Ray Eames, whose timeless simplicity, modernity, style, minimalism and functionality continue to resonate with this generation. This stunning and sizable tome documents their prolific career in furniture design, architecture, industrial design, film, toys, education and innovative experiments. A celebration of their lives, and the joy, spirit, beauty and innovation they brought to their work. By Eames Demetrios and edited by Gloria Fowler and Steve Crist. Published by Ammo Books. Ed Emberley — “I didn’t consider myself an illustrator. I considered myself a book maker.” For parents who grew up with his work and with him as their first art teacher—to share with your own children and introduce them to his incredibly thoughtful line and composition, and the joy found in his work and in his calling to create art for children. By Todd Oldham and Caleb Neelon, and published by Ammo Books. 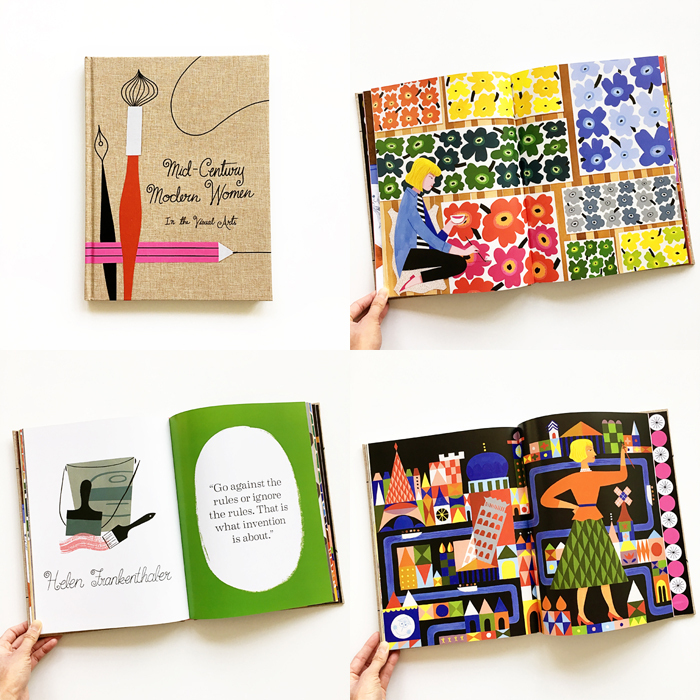 Mid-Century Modern Women in the Visual Arts — An homage to female artists whose forward-thinking and innovative design, art and creative processes have inspired—and continue to influence—so many artists today. Twenty-five women in the various disciplines of painting, sculpture, architecture, furniture design, textile design, graphic design, illustration and fashion are featured, including Coco Chanel, Frida Kahlo, Mary Blair, Georgia O’Keefe, Eva Geisel, Ruth Asawa and Yayoi Kusama. Much of the narrative of their professional lives included “wit, wisdom and willfulness” and remaining steadfast to their vision as artists and individuals. A vibrant addition to your collection of books for Women’s History Month. By Gloria Fowler, illustrated by Ellen Surrey and published by Ammo Books. 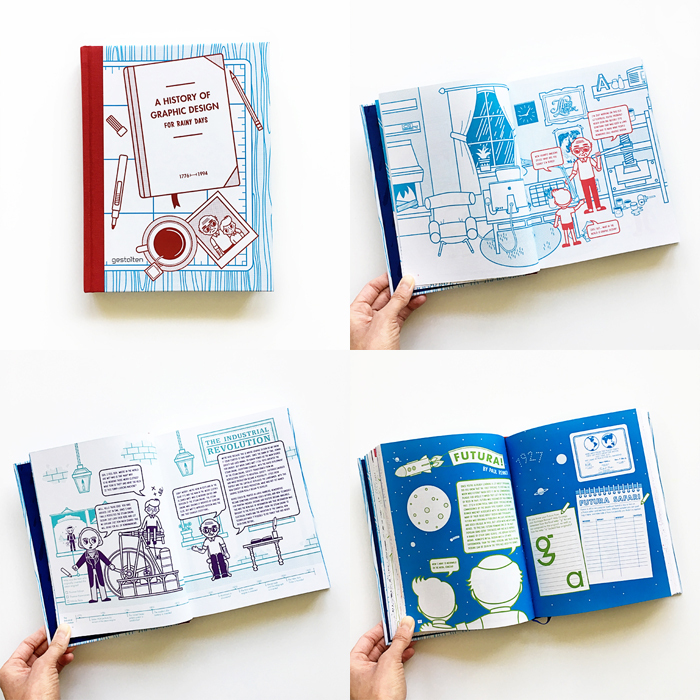 Me: A Compendium — A journal for kids to record their current traits, interests and big and small ideas. 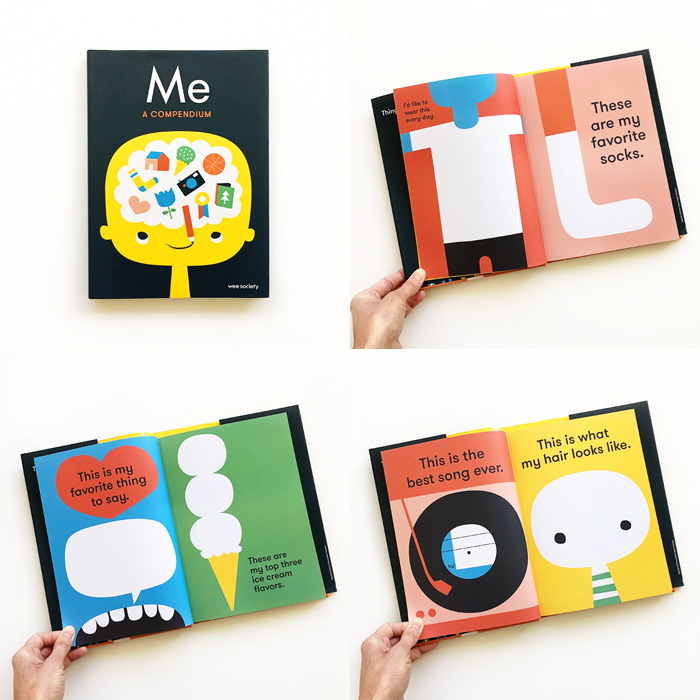 The bold, minimal and design-centric pages ask kids to draw and write notable things about themselves like what they’d name their band, their top three ice cream flavors, or what they would program a robot to do. The list goes on, and it’s fresh, imaginative and hilarious. The results will be an endearing record of your child in a moment in time, and needless to say, you’ll probably be surprised by what they write! Because of course, you never know what kids will say! Also from the clever folk at Wee Society. 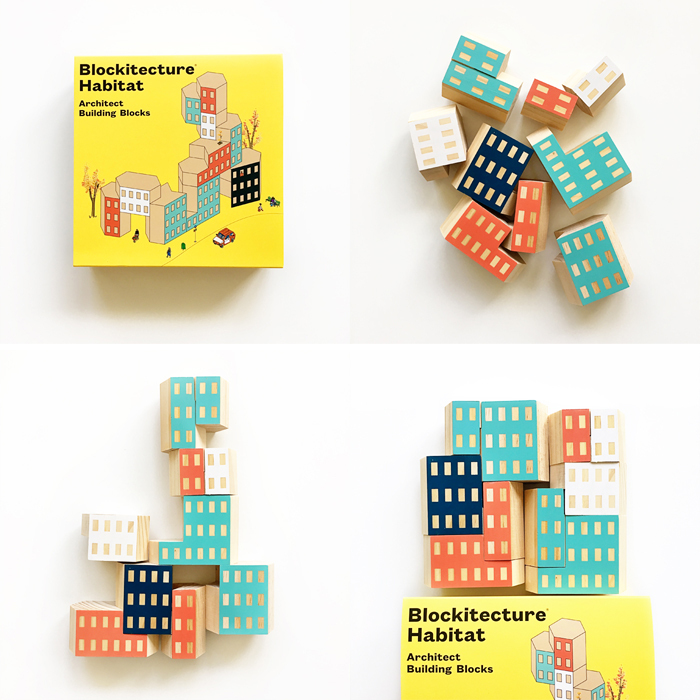 Blockitecture Habitat — A fresh take on the modern building block. To give children a set of blocks is to gift them with endless opportunities to build, create, innovate and problem-solve in open-ended play. Countless benefits aside, these blocks have a beautiful modern palette and are thoughtfully designed and inspired by Habitat 67, a housing complex and pavilion in the 1967 World’s Fair in Montreal. By James Paulius for Areaware. 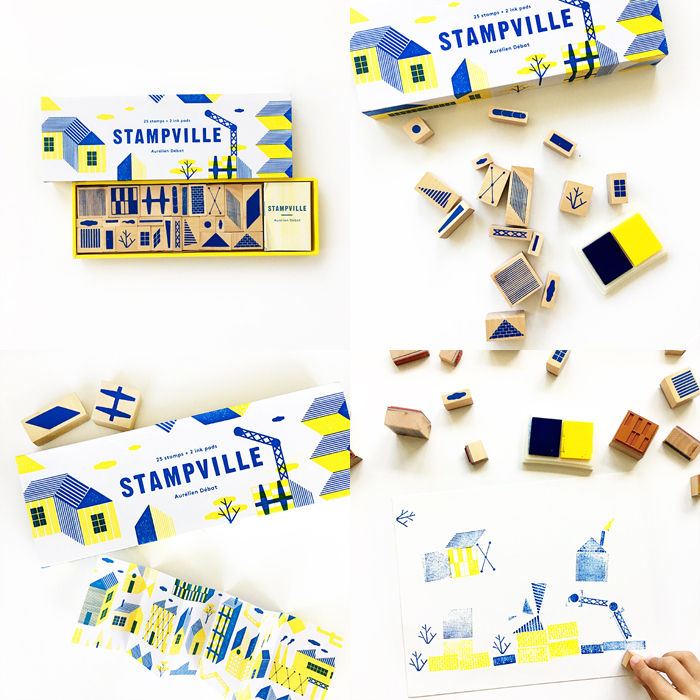 Stampville — A set of twenty-five stamps of various shapes and textures, along with blue and yellow ink pads, for creating houses, buildings and towns. They provide ways to explore part-whole relationships, design and construction given a set of parameters. A good exercise in planning, visualizing ideas and bringing them to fruition. Sure to inspire different ways of thinking about shapes, repetition, composition and patterns. By French illustrator and designer Aurélien Débat. 40% off with the code MONDAY until December 11 at Princeton Architectural Press. 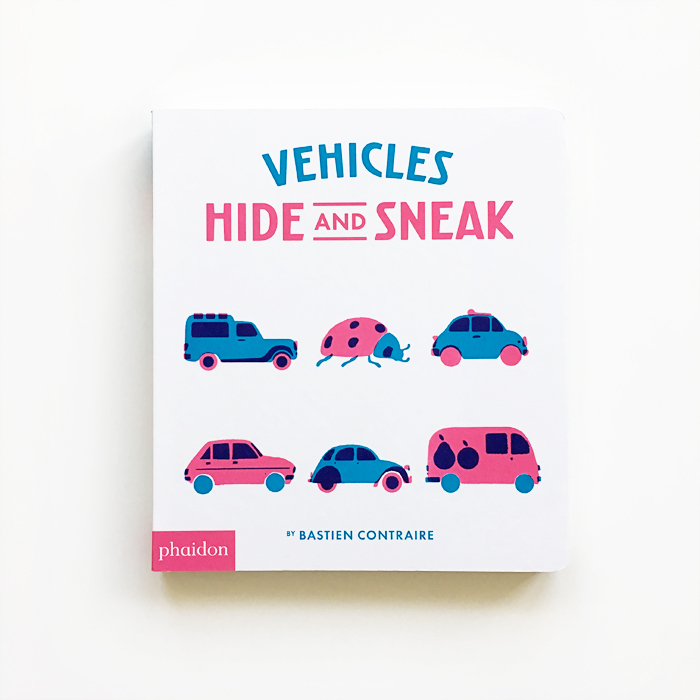 Vehicles Hide and Sneak — The latest look-and-find from Parisian artist Bastien Contraire. It’s got a curious color palette with modern sensibilities. Kids examine groups of items, searching for the “odd one out” and in so doing, work on visual discrimination, categorization, early inferential and reasoning skills. 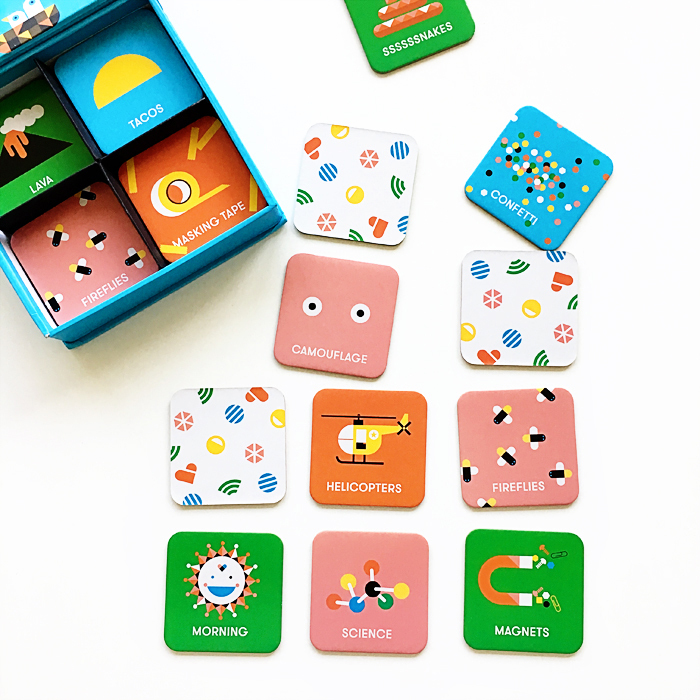 The book’s puzzles contain clever subtleties — groupings of items of very similar shapes and silhouettes and tongue-in-cheek visual humor. Contraire also plays with high-contrast forms and missing bits and pieces. 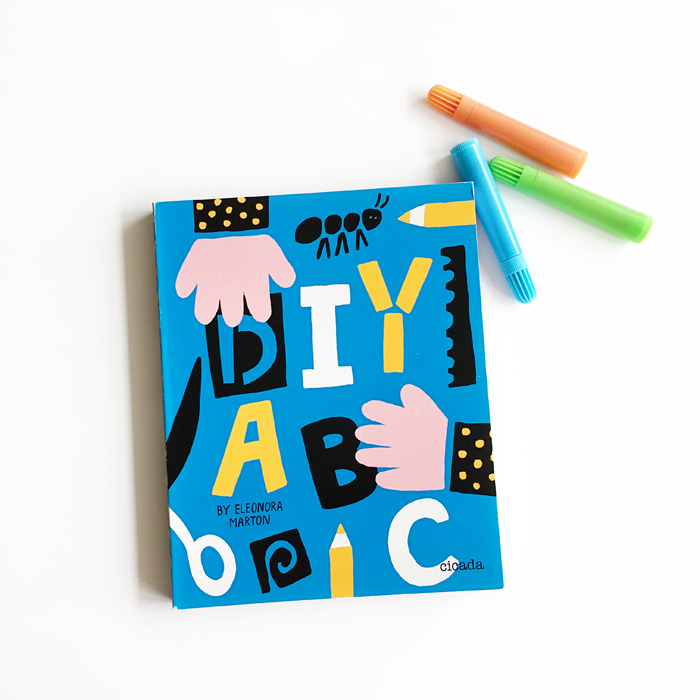 A minimalist and stylish board book that engages the visual senses and providing some nice language points to discuss as well. For ages 3-5. Published by Phaidon. 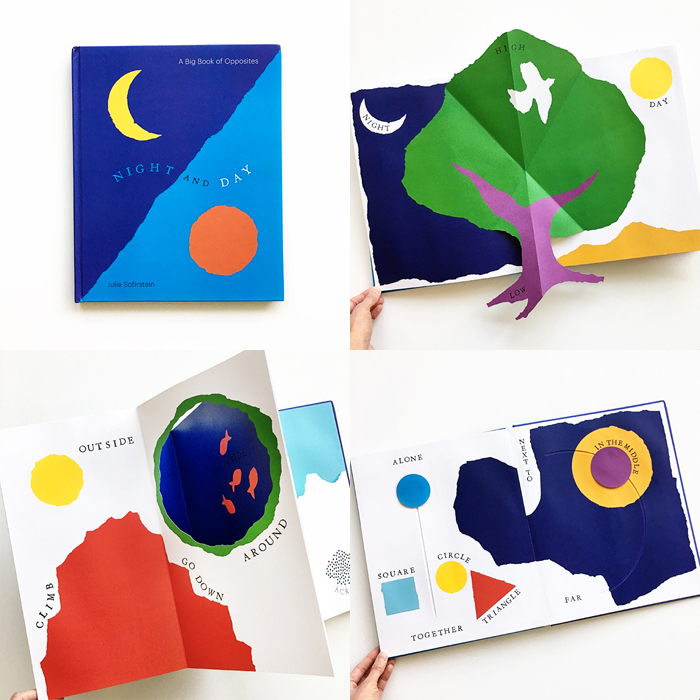 Night and Day — An innovative feat of paper engineering that brings to life several early concepts for little ones. They can see and experience basic concepts such as left, right, night, day, high, low, alone, together, and more. By Paris-based visual artist, bookmaker and author Julie Safirstein. For ages 3-5. 40% off with the code MONDAY until December 11 at Princeton Architectural Press. Living with Pattern — A guide to mixing and layering pattern, in bold and subtle ways, and in unexpected places that you might not have considered. Rebecca Atwood provides inspiration, ideas for projects and helps your realize how pattern brings life to a space, sets the tone of a room and helps make it a unique expression of your tastes and who you are. Published by Clarkson Potter. 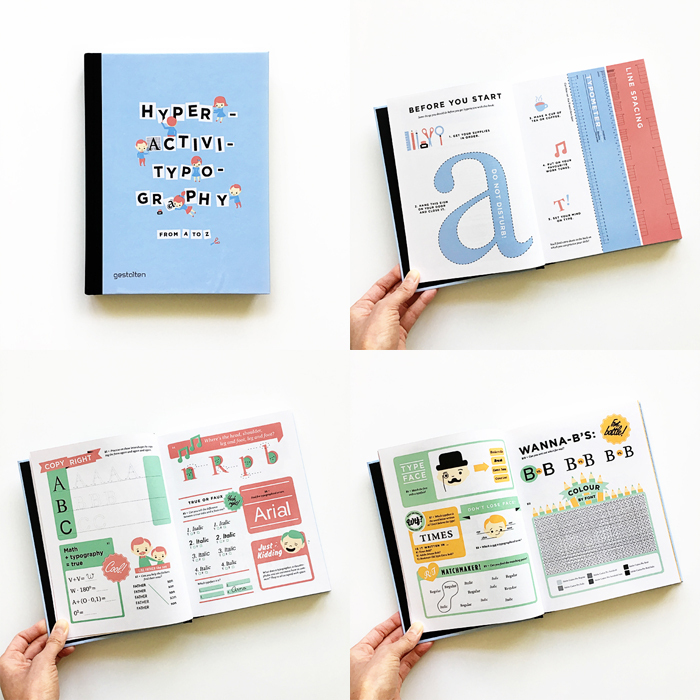 Hyperactivitypography from A to Z — An illustrated and insightful reference and must-have for fans of type and typography, with explanations of terms, games, exercises and puzzles. A book not just for kids. By Norwegian design agency Studio 3 and pairs well with A History of Graphic Design for Rainy Days and published by Gestalten. For ages 10 and up. A History of Graphic Design for Rainy Days — “What you always wanted to know about graphic design but were afraid to ask.” We follow the narrative of a child’s inquiry to his grandfather one rainy day, “What in the world is graphic design?” This clever, lighthearted reference about graphic design guides readers through its history, milestones, facets, personalities and technologies. Infused with humor and of course, sharp design. By Norwegian design agency Studio 3 and published by Gestalten. Pairs well with Hyperactivitypography from A to Z. For ages 9 and up. 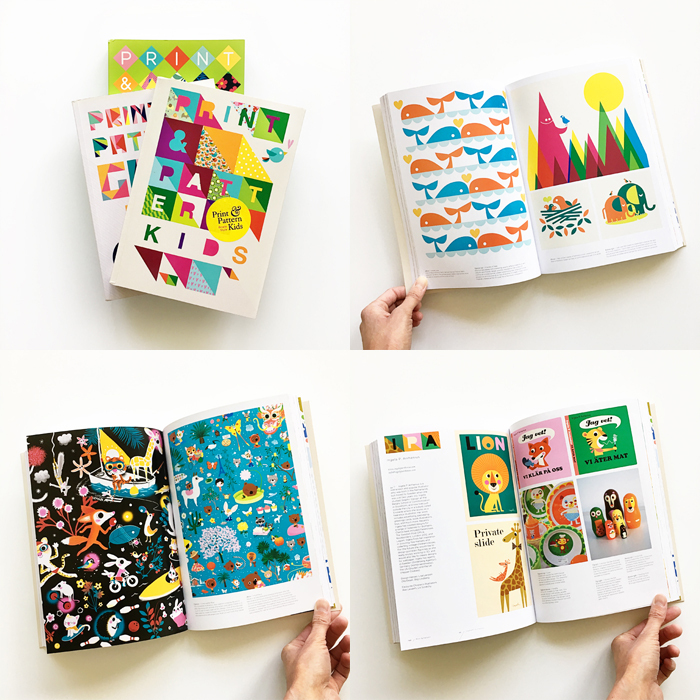 Print & Pattern Kids, Print & Pattern Geometric and Print & Pattern Nature — This trio of books showcases some of the best influential designers in the field, with surface designs, patterns and motifs from all over the world. Trends and products are also discussed, with scores of visually interesting patterns to pore over. 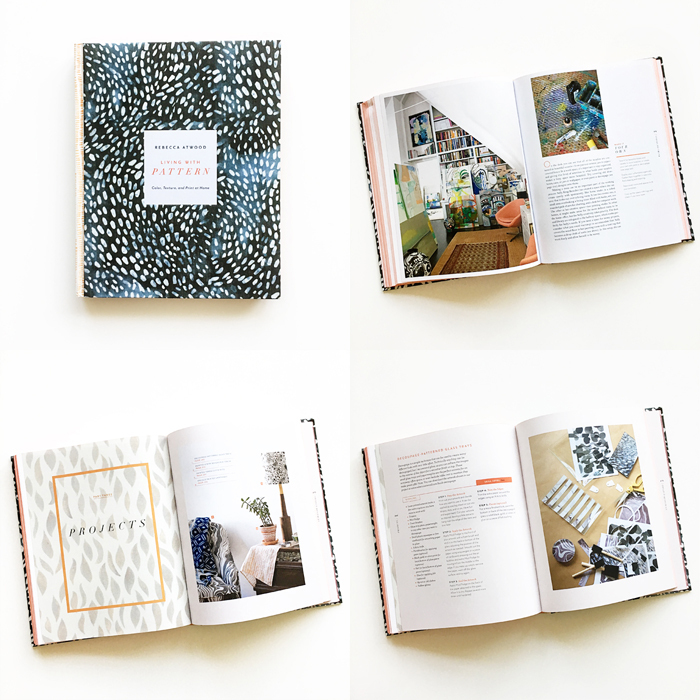 Fantastic references for the pattern-obsessed, as well as textile designers, makers, craftsmen, graphic designers and illustrators. Also in the series is Print & Pattern and Print & Pattern 2. By Marie Perkins (aka Bowie Style) and published by Laurence King. 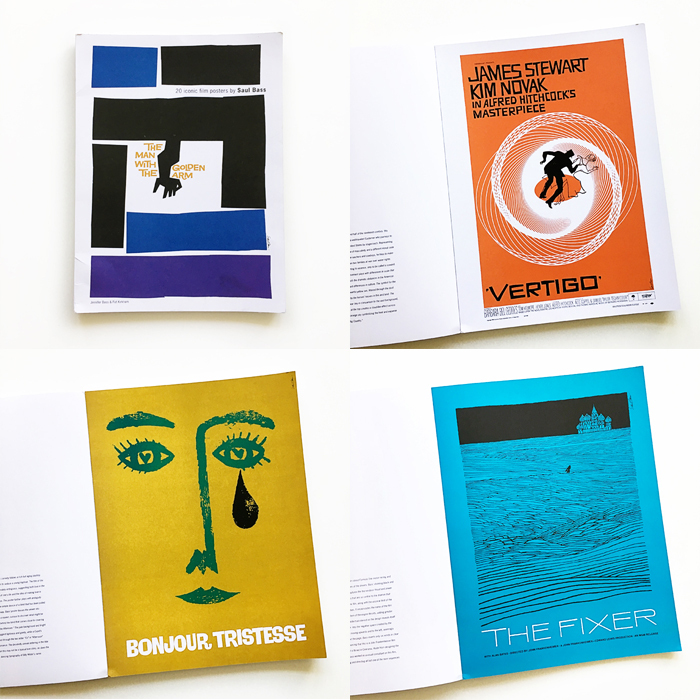 Saul Bass: 20 Iconic Film Posters — You might recognize his name as illustrator on the iconic book Henri’s Walk to Paris. Widely considered one of the best American designers of the 20th century, Saul Bass is most well known for his work in film and graphic design. Included in this book are posters he designed for such films as Vertigo, Spartacus and The Magnificent Seven. Published by Laurence King. Eames House of Cards — “Toys are not really as innocent as they look. Toys and games are preludes to serious ideas.” — Charles and Ray Eames. A classic Eames toy originally designed in 1952. The cards bear patterns or photographs of everyday things, from common household objects to living things from the animal, mineral and vegetable kingdoms, reflecting the pair’s “appreciation for the uncommon beauty of common things.” Slots on all sides of the cards allow them to be joined together in interesting structures with endless configurations. 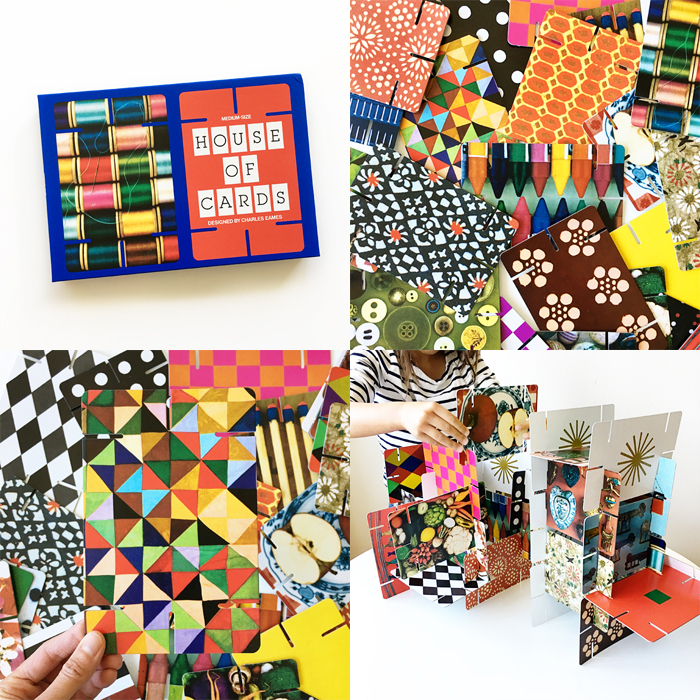 Eames Coloring Toy — We were really excited to see this classic rereleased for a whole new generation after almost 60 years since it was originally created. 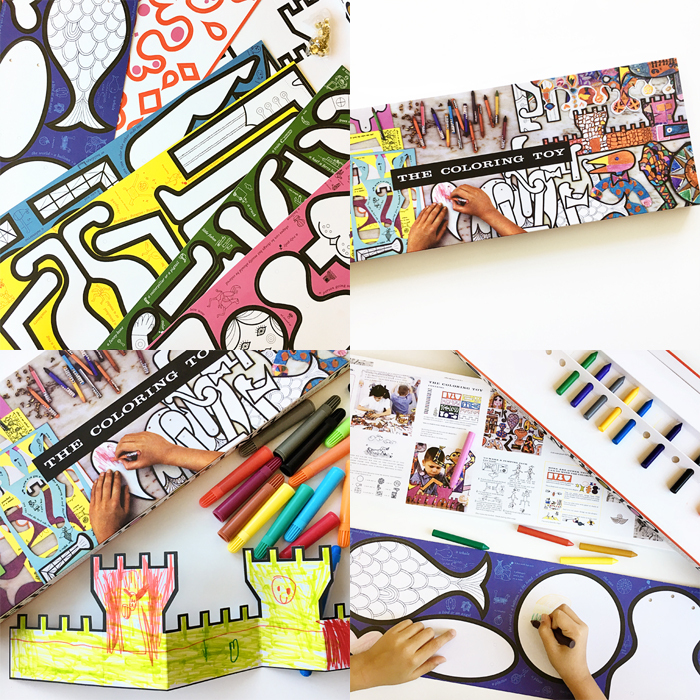 It’s an amazing, innovative set with so much to it — sheets of card stock with 40 different pre-cut shapes for children to color, punch out and put together in myriad ways, from animals and people to more fantastic imaginings. A set of crayons and brads are also included, along with an abundance of ideas and extensions of those ideas. A “thinking outside of the box” toy, for sure. For ages 5 and up. BlockHaus — Not your ordinary building blocks—in fact, these are quite extraordinary and visually striking in their palette of primary colors, black, white and natural wood, as well as patterns. 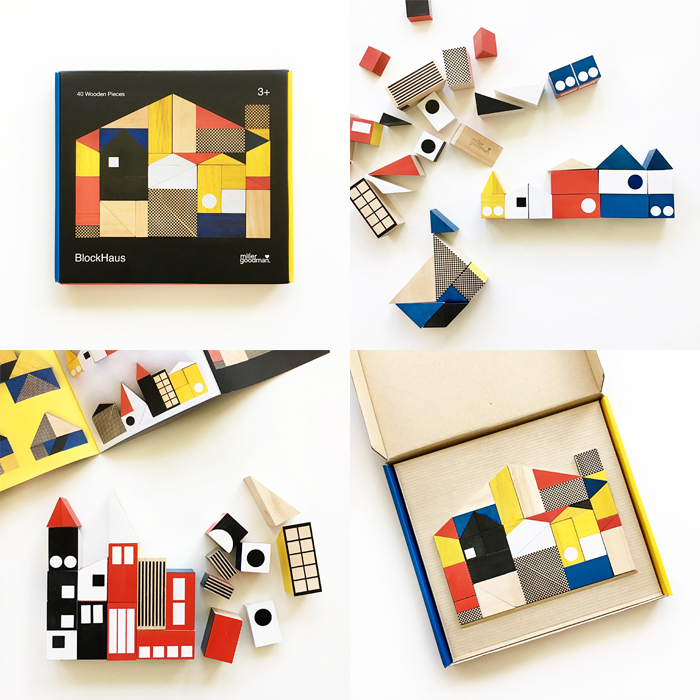 They are handcrafted, inspired by The Bauhaus, and become imaginative structures in the hands of children—houses, abodes, a chateau, a small village, a towering skyscraper. As if that weren’t enough, they also cleverly contain a tangram. For ages 3 and up. Designed by MillerGoodman and available at The Wooden Wagon. And that’s a wrap! Hope you found something beautiful and inspiring to gift to your friends and family this year. If you have any questions or need another idea for a specific gift, feel free to email me at hello @ michelle-sterling.com. If we love anything, it's a design-centric magazine for kids and their parents. Magazines provide a fresh perspective from artists and writers, featuring their newest work and ideas. 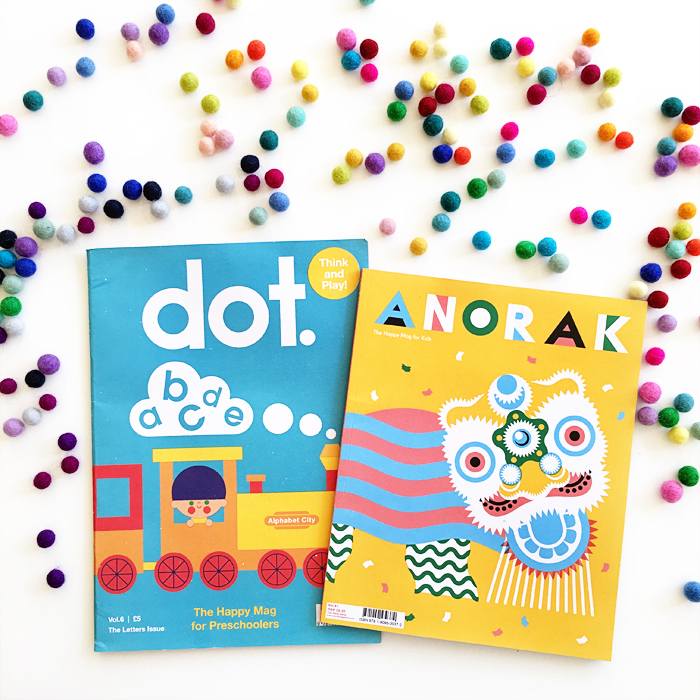 This week we’re enjoying flipping through Dot and Anorak, whose engaging stories, puzzles, games, creative projects, imaginative prompts and interactive pages are perfect for a road trip or an afternoon out at a cafe, paired with a cozy hot chocolate and croissant. 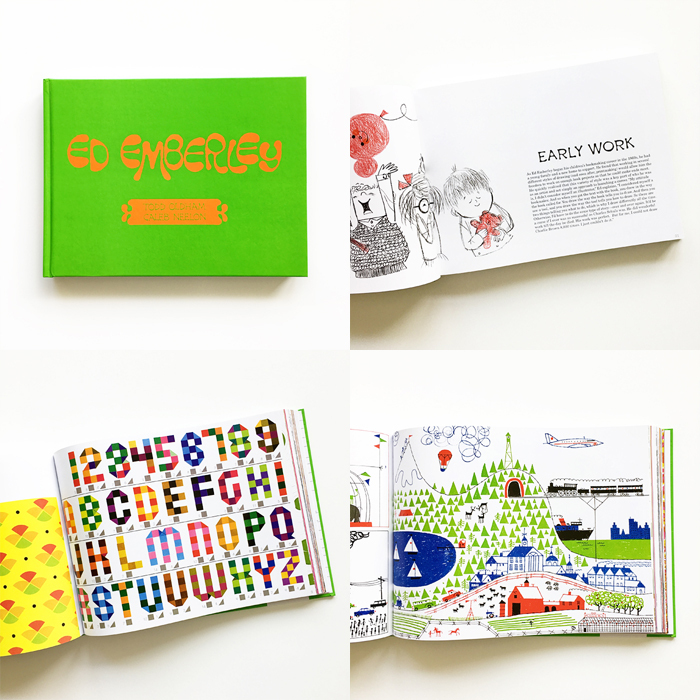 Anorak is for 6 to 12-year-old readers and Dot is its younger counterpart, perfect for little ones. Be sure to check out the international Dot and Anorak giveaway going on at @littlelitbookseries. It ends Thursday, December 8, at 11:59 PST.